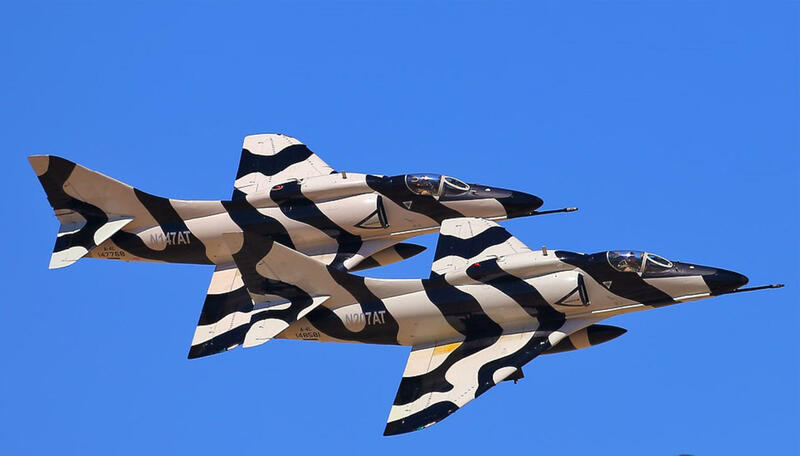 These A4-l Skyhawk aircraft are ready for use as dogfight aggressors for US Military Aircraft Training. The aircraft are available for use with Military Aviation Flight Training. All aircraft featured on this website are available for contract. Copyright 2017, SKY RESOURCES; A4L,LLC & A-4LSkyhawk.com All rights reserved.